I began a life-long journey in being an artisan and craftsman at a very early age with my mother starting me hand-sewing by age five. Growing up I was always making toys or amusements, rarely taking time away for TV as today's kids do. There have been many people along the way that were very important influences with my interests in art and furniture as I grew up. Along with the many interesting family antique furnishings and collectibles, I had an uncle in the restoration business. A visit to his house or shop was always awe inspiring, looking over the fine Victorian craftsmanship in many rare pieces. There was always a glimmer of satisfaction and pride in his eyes even though he was a man of few words. Much the same in looking over Uncle Ray's shoulders and learning carpentry skills. My first hands-on furniture work came in '69; Hamburg Iowa High School. My "shop teacher" Danny Smith was my first true mentor working with woods, finishing leather, plastics, and metals. 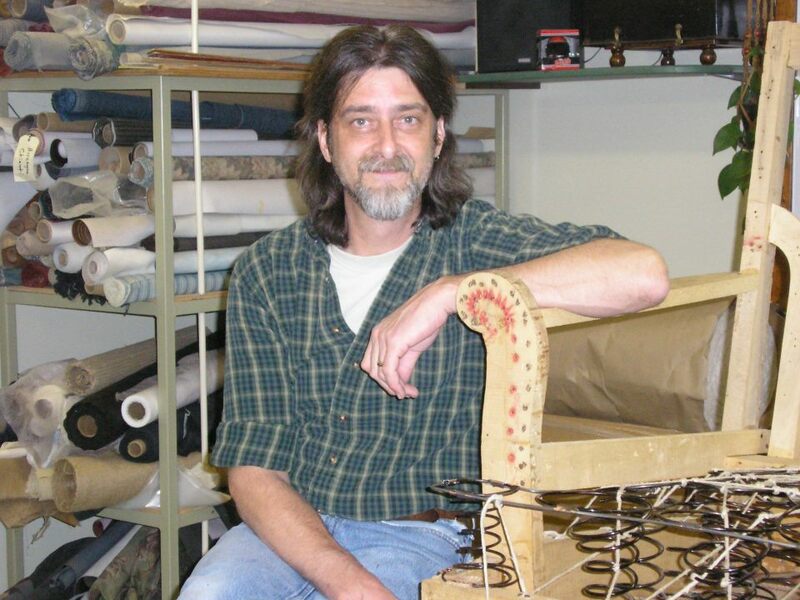 Again following my mother's influence I enrolled in a six week upholstery course at Nebraska's oldest college, Peru State in '75, Dee Jarvis instructor. I was doing carpentry and finish work with my uncle at the time. In August '75 I apprenticed upholstery and tack work at Hollens' Saddlery until the end of the "spirit of '76." ... Jr got me on my feet in the upholstery business and I entered self-employment in January 1977. My focus all these years has been learning all aspects of furniture and automotive work but traditional upholstery and woodworking remains my strongest interest.